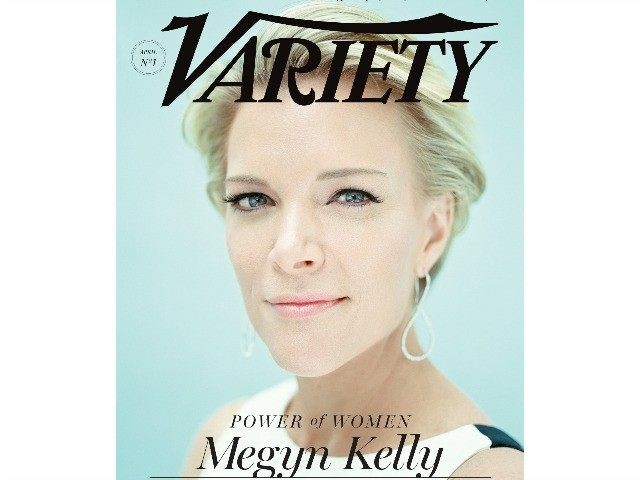 Fox News anchor Megyn Kelly appears on the cover of this month’s Variety for the entertainment trade’s annual “Power of Women” issue, which honors the philanthropic work of prominent female figures in media and entertainment. Kelly shares this year’s honors with actresses Lupita Nyong’o and Julianne Moore, fashion designer Vera Wang and renowned ballet dancer Misty Copeland. The five women will be feted at Variety‘s Power of Women luncheon in Manhattan on April 8. Kelly will be recognized for her work with Childhelp, a non-profit organization that aids victims of child abuse with education treatment and prevention programs. Kelly has worked with the nonprofit for years and has promoted them on Fox News on several occasions. As part of the outlet’s special issue, Kelly spoke at length about her public battle with GOP presidential frontrunner Donald Trump, her desire to interview Democrat frontrunner Hillary Clinton and her future at Fox News. 1. She may not be at Fox News for much longer. Kelly told the outlet that she hasn’t yet decided whether she’ll stay at the top-rated news network past this year’s election, when her contract expires — though she did say network head Roger Ailes has been supportive of her in her public feud with Trump. 2. She has tough questions she wants to ask Hillary Clinton, but the candidate hasn’t agreed to sit down with her yet. Kelly added that some of her “dream interviews” would include the pope, Vladmir Putin, Bashar Assad, Bill Clinton, and Melania Trump. 3. She wishes the feud with Donald Trump never happened. “Has it been hard for you?” Variety asked the anchor. Kelly also says she’s trying not to let her feud with Trump color the way she covers the candidate. 4. She’s staying away from social media. 5. She’s “sad” about the “mean” tone of this election season. Kelly added that the biggest story of this election season, when all is said and done, will be what role the media played. “I think we’re going to have to engage in a lot of soul searching about that,” she added. Read Kelly’s full interview with Variety here.